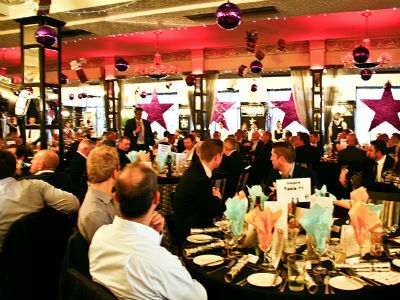 Bournemouth based strategic business and IT consultancy QuoStar, who have chosen us as one of their nominated charities this year, combined with Inspire accountants in December to host a Christmas lunch in aid of four local charities. We are absolutely delighted to announce that we have been presented with a cheque for £1,764, raised at the lunch which was attended by members of the local business community. The event was a huge success, raising almost £8k which has been split between Margaret Green Animal Rescue, Wessex Cancer Trust, Julia's House Children’s Hospice and My Time. Alongside the lunch ex-England cricketer Shaun Udal was in attendance to keep the attendees spending and entertained to raise money for the great local causes. The event was so successful that the organisers have already conspired to set a date for next year. "We wanted to bring together some local business contacts to raise money for a few great local charities, tee up the Christmas season and have some fun. 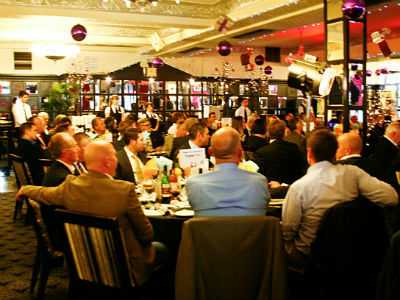 This was the inaugural event we’ve organised and we were delighted with the feedback we’ve received. We have already reserved ten tables for next year which I am thrilled about. It’s our hope that this will be the first of many similar events and that this seasonal gesture of goodwill can become a regular feature in the Bournemouth business community." We'd like to thank Quostar for organising such a successful fundraising event and for their ongoing support throughout the year.